Happy Thursday everyone! Robin here with my inspiration of the week for Dies R Us! Check out Dies R Us for all your die shopping needs. 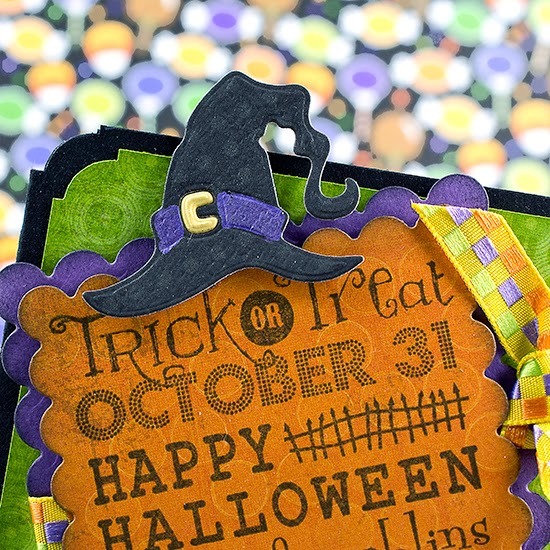 I think Halloween is my favorite holiday and this card just says it all! I fell in love with Taylored Expressions The Witch Is In die set; lots of options for shoe style and leggings, LOL. I stamped my sentiment, from Taylored Expressions and used Spellbinders Classic Scalloped Rectangles to cut it out along with a contrast scalloped rectangle. The witches hat is from the Spellbinders set Witches Brew. After wrapping the purple scalloped rectangle with ribbon I added my sentiment with foam pop ups, glued the witch's legs between the layers and added it to my card with more foam pop ups. The hat was added along with the purple nail heads on the witches shoes! 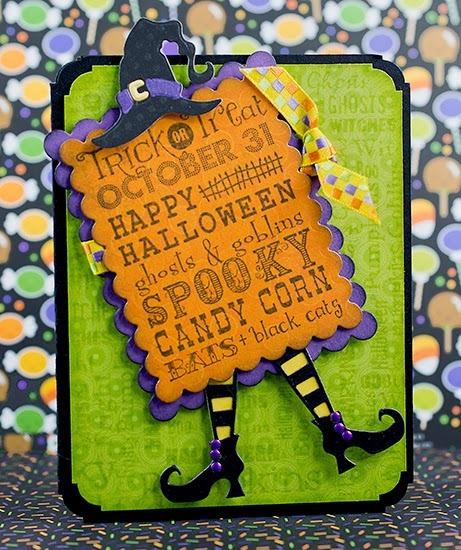 By now we are all into Halloween on the DRU Challenge Blog! Stop by the blog and see how easy it is to enter…you just might win a gift certificate to Dies R Us! Oh, Robin, this is fantastic! This makes such a darling witch & such a SUPER card! I LOVE it! OMG how cute and creative Robin! LOVE IT!! !